A series of coaching days is available to sailors who are looking to either improve or start racing. The days are run by qualified members of the club who have a passion for sailing and give up their time freely. The sessions are free to paid up members. The main criteria are to have the ability to be able to sail a dinghy competently on all points of sailing and a desire to compete regularly in club racing. Sailors who already take part in Tuesday and Saturday racing will find these sessions of benefit. Having run a series of sessions in 2017, initially for Laser sailors, it soon became clear there is a demand at N.C.S.C. for this type of coaching. Feedback from those who took park highlighted not only the benefit of improved racing skills but also integration into the club by meeting other members with new friendships being formed. For 2018 we opened the race coaching to all types of dinghy. This worked well and we delivered specific coaching to both asymmetric and conventional spinnaker dinghies. 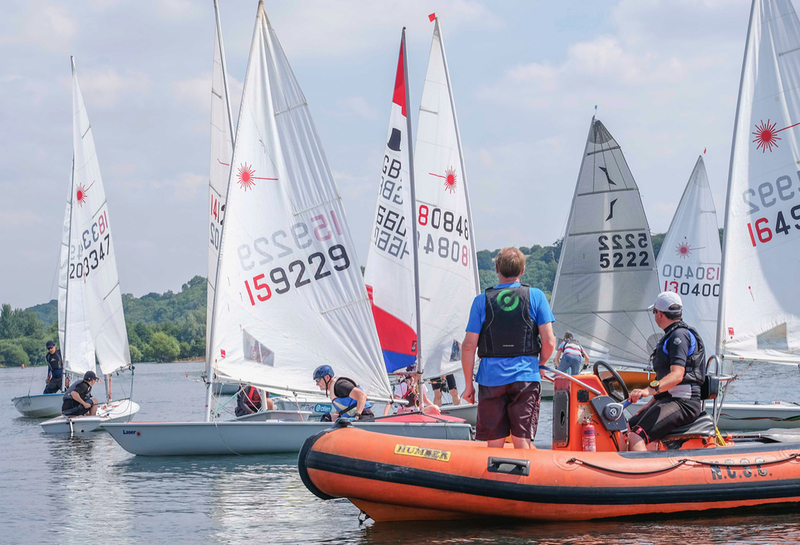 The 2019 sessions are again open to sailors of any type of dinghy. Whilst it is not essential to attend all sessions most benefit will be gained by attending all. The first two are full day and attendance is highly desirable as they put down the foundations for all that follows. There is a limit on available spaces; to book contact Tim Cripps, details below, with the dates you require. It is important to pre book as notes are sent out prior to sessions.